Everyone wants to sell more handmade product. But to do so, they must get out of the seller mentality and think about buyers and the way they shop. Imagine you’re looking for a dress to wear to an upcoming wedding. You’re searching through two different websites looking for a soft yellow dress in a light material, perfect for an outdoor celebration. Example 1: The first website displays their dresses on a plain bust form and background. Simple and clean but for each yellow dress you come across, you need to take a few minutes, switch back and forth between the photos to see it from the front, back and sides to imagine how you would look wearing it. Example 2: The second website models their dresses on real people. They also match the model’s surroundings to the feel of the outfit. The model is grabbing coffee at a café in a casual cotton dress and is outside on a sunny day in a light chiffon sundress. They’ve accessorized the dresses with matching jewelry, shoes and handbags. With each photo, you can immediately picture yourself in the dress, know exactly how you’d style it and where you’d wear it. What does the second retailer do differently that results in more sales? When they help the shopper picture the product in their lives, they’re halfway to a sale. In the shoppers’ head, they’re already wearing that dress and shortly after comes the realization that they must have it. This is the reason Pinterest and Instagram are such powerful tools for fashion. Brands pay bloggers big money to post photos of themselves wearing their clothes or accessories. They know that bloggers have loyal followers who love seeing how they’ll use their personal style to wear a piece. Seeing that product in action, worn in everyday life, as opposed to hanging on a rack adds a powerful punch to influencing purchases. So, that’s the fashion industry. 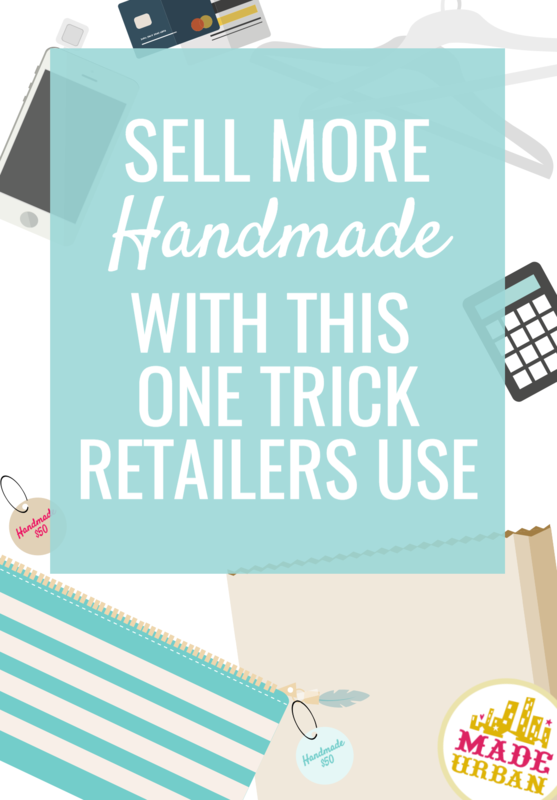 How can you implement this technique in your handmade business to sell more product? The same principle applies: you need to get your shoppers to envision themselves wearing, using, displaying, etc. your product. It’s not about the product. It’s about what it will do for the consumer. What are your customers going to get out of using your handmade products? looking as stylish as the model sporting your handmade hat? finally getting glowing skin by using your skincare products? showing off their quirky style by hanging your art on their walls? having the cutest kid at the wedding wearing your handmade tutus? Once you know the benefits of your handmade products you can play those up. If you need a little help on the selling side and uncovering your product’s benefits and key points customers care about, you’ll enjoy this article series on writing product descriptions that sell. Check out the first article of the series here. 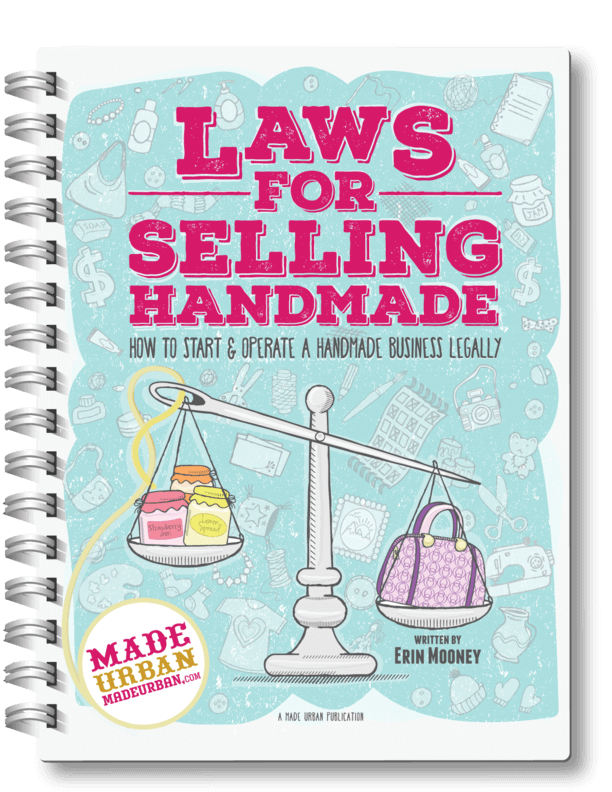 You should be starting with a niche product (download the free chapter: MAKING PRODUCTS THAT PROFIT to learn the steps to make your handmade products more profitable and more likely to stand out in an online market or at a craft show). Then you can reinforce their selling features through various components. Your actual products may just require small changes to offer something unique. Let’s imagine you knit hats and sell them online and at craft fairs. Check out how a few small details can take a handmade hat from basic to one that stands out and makes you feel like you need it. Before: You don’t really have any. You make what you feel like based on the patterns you find, yarn colors that catch your eye and what seems to be trendy among other handmade hat vendors. After: You offer 3 Collections based on the season and warmth level. Cable Knit in Alpaca wool for colder days, Stockinette stitch in a Merino wool for cool days and a Lace pattern in an Acrylic yarn for warm days. You name your collections after the first names of the celebrities who wear the looks. Before: You make your hats out of any yarn color that catches your eye at the store. After: Each collection comes in the same colors. Your staples: grey, cream and black, as well as two colors that are on trend for the season: peach and mint for Spring. That’s it, just an adjustment to simplify the type of hat you offer and the colors you offer it in. Now let’s take a look at the elements that surround the hat and strengthen the message of them being suited for each season and designed after a specific look. After: “Selena Slouchy Beanie” – you named it after a casual outfit Selena Gomez wore with a slouchy beanie while out on a Starbucks run in L.A. This gets the shopper imagining when, where and how they would wear the hat and how it solves the common problem of needing coffee before you have the energy to get ready. Before: Picture of the hat on a Styrofoam head form. After: Picture of the hat on a model, styled the exact way Selena Gomez has worn it with the model wearing sunglasses, hair in a braid, casual t-shirt and distressed jeans, showing people how to wear a beanie in the warmer months. The photo is taken outside and the model looks as though she’s been photographed out running errands. 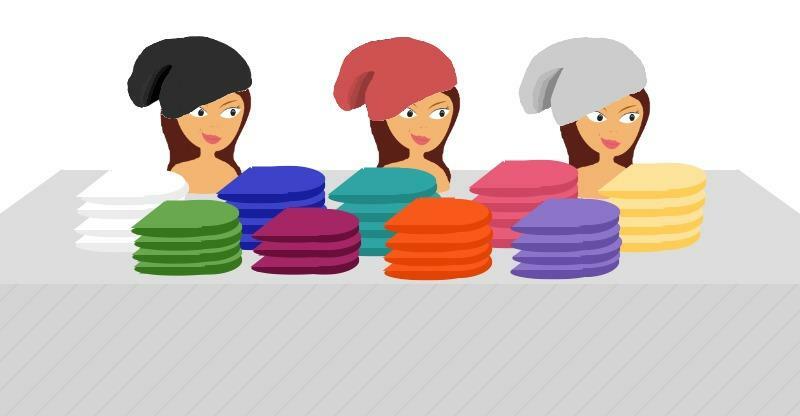 Before: A few hats displayed on mannequin heads and stacks of them in every color of the rainbow. After: Hats are displayed on wooden head forms that don’t distract from the hat. The display focuses on 3 key looks as worn by celebrities. 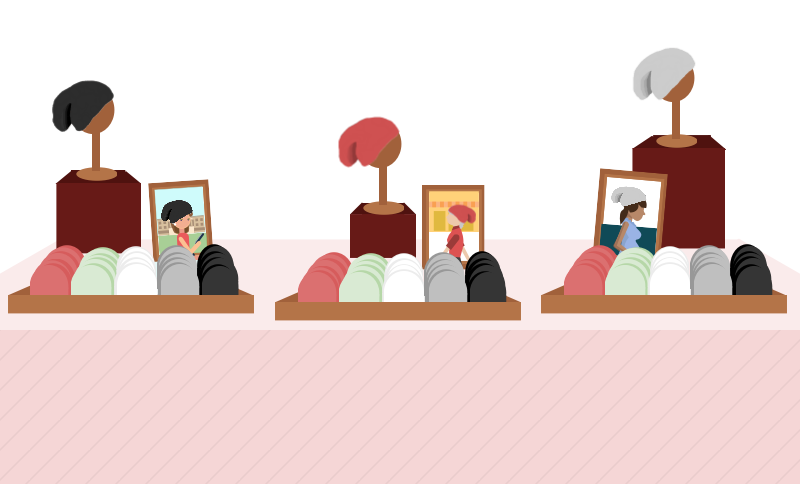 Photos of the celebrities (obtained legally of course) are displayed next to the hat, showing the shoppers how they can be worn and displaying the different size and color options in front. You separate your displays by collections, with one composition for each look and warmth level. A composition is a collection of items grouped together in a pleasing manner. It should pull several components together without overwhelming the shopper and while communicating a message. You want to lead the eye around the composition using lines so one element is taken in at a time and each strengthens the next. Line & composition is covered briefly in this article WANT TO STAND OUT AT A CRAFT SHOW? TRY THESE DISPLAY TRICKS and in full detail in my e-book. After: “I knit hats based on celebrity trends and offer the styles and collections for one season only.” Lets shoppers know how your hats are different and creates a sense of urgency: these styles are only here for one season so get ’em while they’re hot! After: “That hat you’re holding is perfect when you don’t feel like doing your hair on warmer days. It’s made out of lightweight acrylic and is a looser lace knit so you don’t get too hot. This peach color is really popular for spring and goes awesome with military green.” Shares the benefit of the specific hat the shopper is interested in and helps them envision themselves wearing it. Before: You hand the hat to the customer in a bag and thank them for their purchase. After: You wrap their purchase in tissue paper, which is the same color as your branding. You use a sticker with your logo on it to keep the tissue paper wrapped around your product and place it in a branded paper bag. As you hand the bag to the customer you thank them for their purchase and let them know that you included a postcard, which has some styling tips on how to wear the look as well as care instructions. And if they have any questions, your contact info, website and social media pages are on the back of the postcard. You can see through the above example that it doesn’t take much to create a niche for your handmade products. “Hats” is not narrow enough of a niche. What kind of hats? Who are they specifically for? What benefits do your customers get that they wouldn’t if they bought from the other hat vendor at the craft fair? 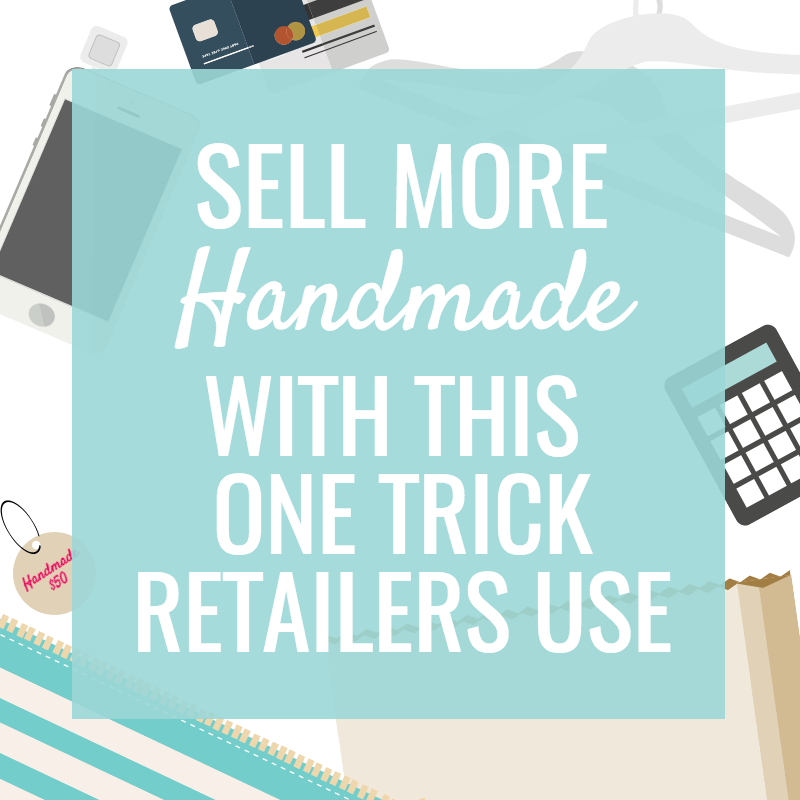 If you need some help determining your handmade product’s niche (it’s there, you just need to dig it up! ), download our FREE Chapter: MAKING PRODUCTS THAT PROFIT. Just a small change can give you a unique edge and increase sales. Refining the hats into 3 collections and select colors doesn’t do much without following through in other areas of the business. Each aspect: product titles, descriptions, photos, displays and pitches will further strengthen your message and communicate the benefits of buying from you vs. the other guy. If you need a little help when it comes to creating your display to communicate your message without saying a work, join my FREE 5 day challenge. It’s been really great to receive emails from handmade business owners who have joined that challenge and want to tell me about the “aha moments” they’ve had throughout it and share some of their ideas for improving their display. Check out a few more details about the challenge here or sign up below! Thanks for again sharing excellent tips! Just what I need for my last show of the year. I’ve used the display tips and things are looking good. I’m reworking my line today! Thanks for reading Keshav, Nancy and Wendi! As cliche as it may sound, you just have to enjoy the journey full of ups and downs and know they’re there to teach you something or move you in the right direction. Thank you for these before and after examples! I tend to fall sometimes into the first category of “here’s my stuff, you should buy it”. These suggestions will help take me to the next level. Hi there, I am doing a craft fair in December and I’m very excited. Of course I want it to be spectacular. Since I have been following you for some time I love that you have this 5 day challenge. Can’t wait to read he material. My venue is sewing especially for babies. Mostly bibs,blankets,hair accessories for little girls and binkey clips. Do you think that’s too much? I have some really great fabrics that are so cute. I have been sewing for 72 years. Hope you can help me!